I saw this today and felt the need to share. 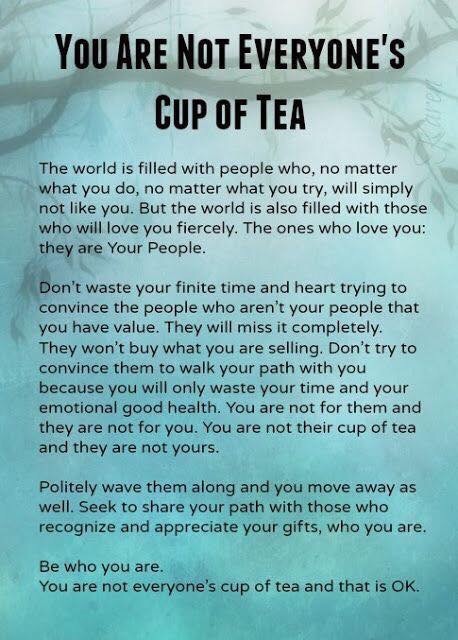 There are too many times in life that I feel this way, but sometimes I have to remind myself that I am not always going to be someone’s cup of tea; and sometimes, that’s ok. I enjoy being a unique individual, I think that’s what makes me special. 🙂 Hopefully this touches someone today!